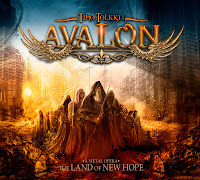 Rock & Metal 4 You: CD-Review: Timo Tolkki's AVALON - "The Land Of New Hope"
CD-Review: Timo Tolkki's AVALON - "The Land Of New Hope"
Timo Tolkki - do I have to say something about this guy? I think lots of metalheads know him as the former guitar player of the power metal band Stratovarius. 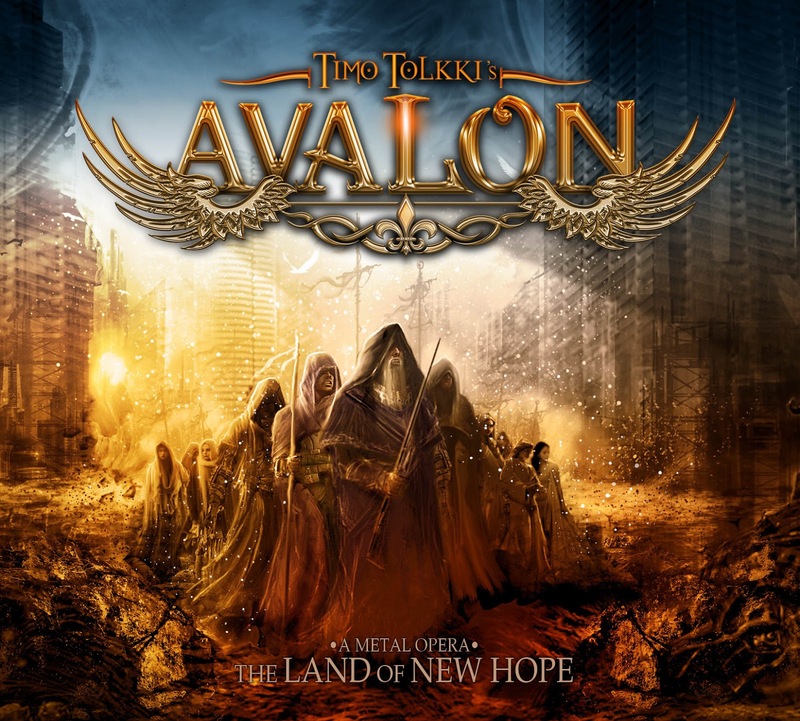 Over the years he has become some kind of cult-figure in the metal genre, so many people were excited when they heard of his new project Avalon, which is supposed to be a metal opera. Timo Tolkki gathered lots of guest musicians around him to take you on a journey into the land of new hope, but lots of things have a bitter aftertaste and I'll tell you why. "The Land Of New Hope" tells a conceptional story, where the world is destroyed and a group of survivors wants to find a legendary place called "The Land Of New Hope" - the only save place on this earth. There isn't much more to say about this story. To me this is nothing new and such a story was told a thousand times before. There isn't much room for interpretations, because it is more linearly story telling. But the unspectacular story is presented with lots of amazing "actors", that means musicians, who play certain roles. You'll hear Michael Kiske (Unisonic, ex-Helloween), Russel Allen (Symphony X), Elize Ryd (Amaranthe), Rob Rock (Impellitteri), Sharon Den Adel (Within Temptation) and Tony Kakko (Sonata Arctica) on here. So the guestlist is huge. But hold on a minute ... conceptional story, Avalon, Kiske, Allen, Den Adel ... aren't you familiar with this? Yes, all this reminds me a LOT at Tobias Sammet's metal opera AVANTASIA. It seems like Frontiers Records wants to jump on that train of this very successful project and presents here their answer to Avantasia. The whole concept and marketing strategy is very close to its big idol. Just look at the project name: Avantasia comes from "Avalon" and "Fantasia" ... so the name "Avalon" is the first side swipe. 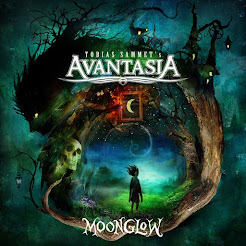 The logo looks also a bit similar to the Avantasia-brand. Then the concept itself: each musician plays a role in an epic story and last but not least: even 50 percent of the guest singers appeared on Sammet's metal opera before. So everything is focused on putting an Avantasia competitor into the race, but nothing here feels unique ... just copied. Because of this and the fact, that "The Land Of New Hope" is released just two months after the new Avantasia record you just HAVE to compare these two projects ... and this is really a curse here. Frontiers Records couldn't act more stupid. So please forgive me, if I'm comparing these two releases in the following lines. There is small, but very important difference between those two metal operas, when it comes to the feelings you have, while you experience the whole story and their characters. In Avantasia you have a main protagonist and you see everything from his perspective. That makes it much easier to get into the story. In Avalon you haven't got a real main charakter, who gives you a feeling of personal bond. So it was hard for me to get right into it. Some might say I'm just talking crap, because it's all about the music, but no - "The Land Of New Hope" wants to be a metal opera and here you need a good story, which has to be told pretty well. Because if not it could also be a simple all-star-project without any meaning and sadly most of the time this album feels like this. Don't get me wrong: each musician deliver great performances here, but Tolkki don't know how to use his strong line-up in the right way. In Sammet's metal opera it feels like certain songs were written for its guest vocalists. It fits perfectly and you get a feeling of a whole unit, of one big epic adventure. On Tolkki's album it's just "one famous vocalist sings one song" ... especially on the second half of this record. So this big epic feeling gets lost here. Of course there are moments, where some kind of epicness shines through ... for example in the opener "Avalanche Anthem". This is a really good start for this album with very good melodies and guitar lines. Speaking about this - we all know that Timo Tolkki is an excellent guitar player. You'll hear sharp guitars everywhere and perfect playing, but when it comes to songwriting Tolkki can't keep up with Tobias Sammet. Sammet has the ability to write epic songs, which are about 15 minutes long and never get boring. Tolkki's title track (with Michael Kiske on vocals) has a playtime around nine minutes and after the half of it you just think it's way too long. Maybe this all sounds more worse than it actually is, because if you take this album as a metal allstar-project without a deeper meaning you get really good songs here. Yes, sometimes even really amazing songs: "A World Without Us", "We Will Find A Way" or "To The Edge Of The World" are real power metal gems. Very melodic and very well performed! Especially Russel Allen, Sharon Den Adel and Elize Ryd shine on this record. Overall every song is at least a "good" one, so if you like power metal or melodic metal you can't go wrong with this album. It just fails on its own standards. "The Land Of New Hope" wants to be much, much more and raises great expectations with the promise of an ultimate metal opera experience ... and this promise can't be fullfilled - at least not completely. It's the same when it comes to production and arrangements: they are very, very good if you compare it with normal power metal albums, but in context of a metal opera you'll find not many bombastic moments with big orchestration or something like that. So the final rating as a power metal album in the typical Stratovarious style would be an 8 out of 10, but Avalons own approach and the fact that lots of things are copied from Avantasia tear it down to 7 out of 10. If there will be a follow-up I'd like to have something more epic and something more unique. So the overall metal opera package you get here is solid and fans of Timo Tolkki can buy it blindly. Fans of Avantasia: please listen first and then decide.